A little about me – I’m Sally from Berkshire in the UK. I’m Mum to Reuben and married to Ben who also joins in the babywearing fun. 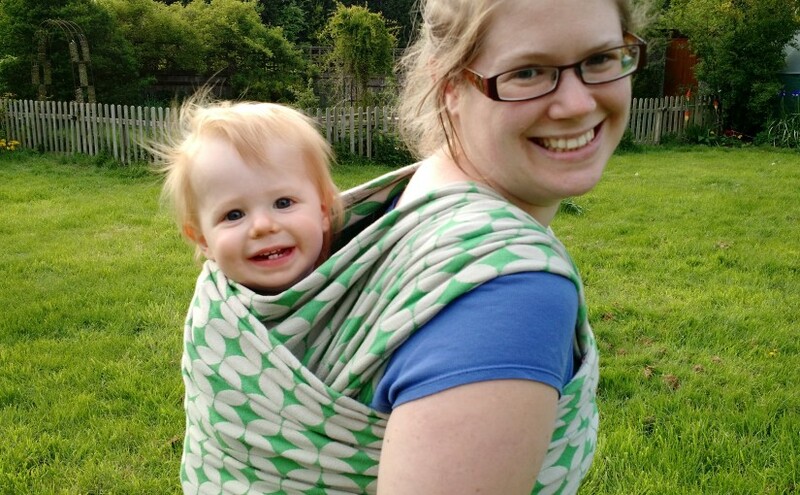 We bought our first sling while I was still pregnant (a Babasling) and have since progressed into the wonderful world of woven wraps and slings. I love being able to be close to Reu all the time and interact with him so much. When we go for walks he can see everything I can see so we can look at everything together. He’s very sociable which I’m sure is in part because he’s had so much interaction with people by being at their eye level. I also love being able to get on with things that need doing, while having a happy Reu with me, for instance he’s asleep on my back as I write this. I have suffered from antenatal and postnatal depression and babywearing has definitely helped me cope with this as it’s enabled me to get out easily, get jobs done, and form an incredible bond with Reu. I would love it if my Facebook page and website could enable more people to enjoy carrying their children, and especially to help parents struggling with mental health problems to find another tool to aid their recovery. I am contacting you on behalf of South Korean TV (KBS) who is currently creating a documentary about Korean Culture in global market. We believe podaegi is a good example of Korean culture and you are the right example of showing how it is being spread in the UK. So we want to ask for an interview. If you do not mind please can you contact me on 07741 274071 to discuss in more detail. Your participation is very important to us so I would be very grateful if you can get back to me. I am very interested in helping you if I can, I have sent you an email. I resent you an email, could you please check and get back to me asap?